Lev Zilbermintz [pictured] sends the following Newark Gambit with notes. It was played on Tuesday evening at the West Orange Chess Club. The time control was game/100. To begin with, I arrived 7 minutes late because of taking a later bus than I usually do. Still, since I think fast, that is not a problem. 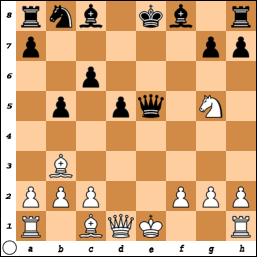 This is the Newark Gambit, invented by me in 2003. It is very trappy and complicated. Many of its lines are not for the faint-hearted! The Bishop Retreat Variation of the Newark Gambit Declined is usually played by those who wish to avoid the complications arising from the Newark Gambit Accepted after 5.Bxb5+ c6! 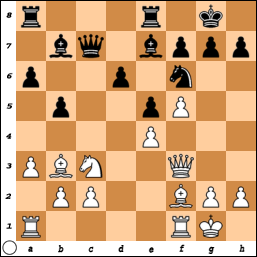 White avoids going for the Knight Sacrifice Variation 6 Nxe5? !, preferring instead to hit the vulnerable kingside. Here my opponent spent 16 minutes on his next move. The move 7...Bb4?! 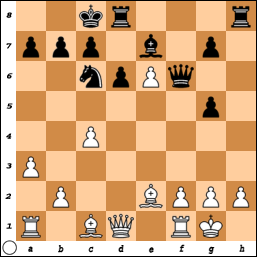 is not good since the b5 and d5 pawns are vulnerable after 8.Bd2! 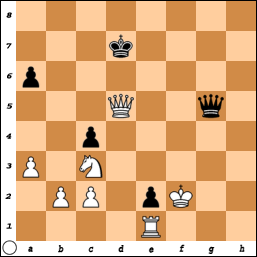 Black has to trade knights and buy time for his king to castle. 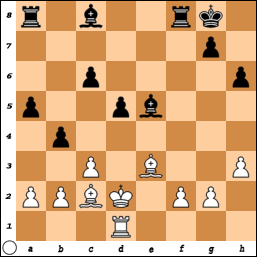 This move delays White long enough for Black to finish development. Of course, 11.Kd2?? 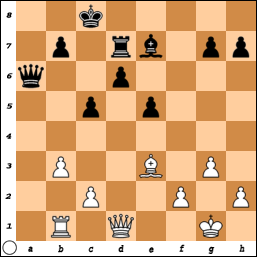 loses the knight, while 11.Kf1 blocks the rook. Thus, there is no choice but the text move. Now Black has leveled out the position. 13.h3? O-O 14.Be3 a5 15.c3 b4! At this point, I have 85 minutes on the clock left to my opponent's 60. 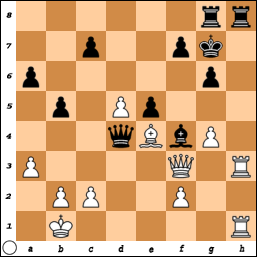 16.Bc2 h6 17.Nf3 Nd7 18.Rhd1 Ne5 19.Nxe5 Bxe5 20.Kd2? This move creates many problems. Safer was 20.Bd4! cutting off the power of the bishop on e5. 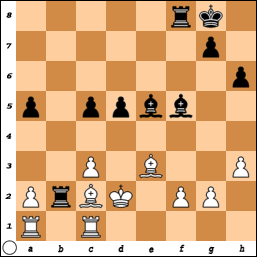 Now, with the king on d2, this is no longer possible, since the f2 pawn is vulnerable. White has 42:02 left; Black, 81 minutes. 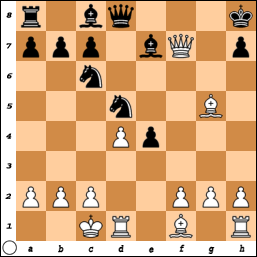 The move 23.Kc1 fails to 23...Bxc3 24.Bxc6 Bf5! 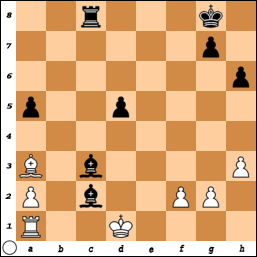 25.Bxd5+ Kh8 with a winning attack. White has 34:23 left; Black, 79 minutes. 26.Ba3 Bxc3+ 27.Kd1 Rxc2! 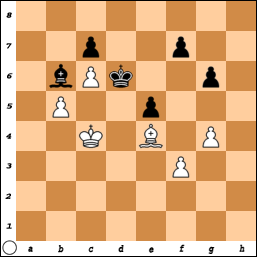 28.Rxc2 Bxc2+, White resigns. At the end, White had 31 minutes left; Black, 1 hour and 8 minutes. 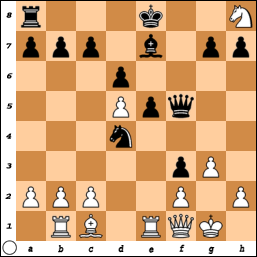 47.Ra6 Ne5 48.Rxb6 Rxa3 49.Rxd6 Ng4 50.Rc6 Ne3 51.Rc5 Nxd5 52.Rxd5 Rc3 53.c5 Ke7 54.Kf2 Ke6 55.Rxh5 Kd7 56.Rh7+ Kc6 57.Rh8 Rxc5 58.Rc8+ Kb6 59.Rxc5 Kxc5, draw. The Marshall Chess Club presents grandmaster Michael Rohde. Grandmaster Michael Rohde will present his best and most instructive games of the recent 2012 Marshall Chess Club championship, a tournament Michael won together with international master Justin Sarkar. It was GM Rohde's third Marshall Chess Club championship, following victories in 1990 and 1994. GM Rohde has many tournament victories to his credit, including equal first in the 1981 and 1989 World Opens and equal first in the 1991 and 2007 U.S. Opens. 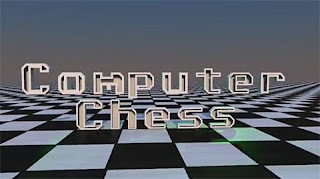 He displayed his teaching and writing skills with the "Game of the Month" column in Chess Life from 1991 to 2006. Yesterday Lev Zilbermintz [pictured, right front] played the PCG against Brandon Nydick [pictured, left front] at the quads in Westfield. 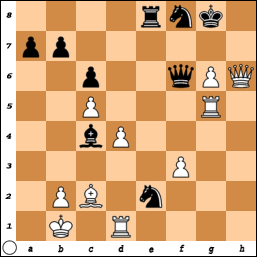 36.Rh1 Nxd4 37.Be4 Rxe4 38.fxe4 Bd3+ 39.Ka1 Nc2+ 40.Ka2 Nb4+ 41.Ka1 Nc2+ 42.Ka2 Nb4+ 43.Ka1 Nc2+, draw. 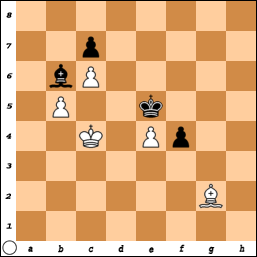 On Saturday, I finished with a score of 1-0-3 in the grand prix tournament at Chess Mates. 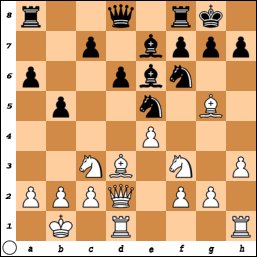 18.Be3 Ne2+ 19.Rxe2 fxe2 20.Qxe2 O-O-O 21.Nf7 Qxf7 22.Bxa7 Qxd5 23.Qg4+ Rd7 24.Be3 Qxa2 25.Qd1 c5 26.b3 Qa6, draw. This is my winter teaching schedule, in the after school enrichment program on chess, through Enrich and Grow Academy. Friday: Hilldale Elementary School in Montville. 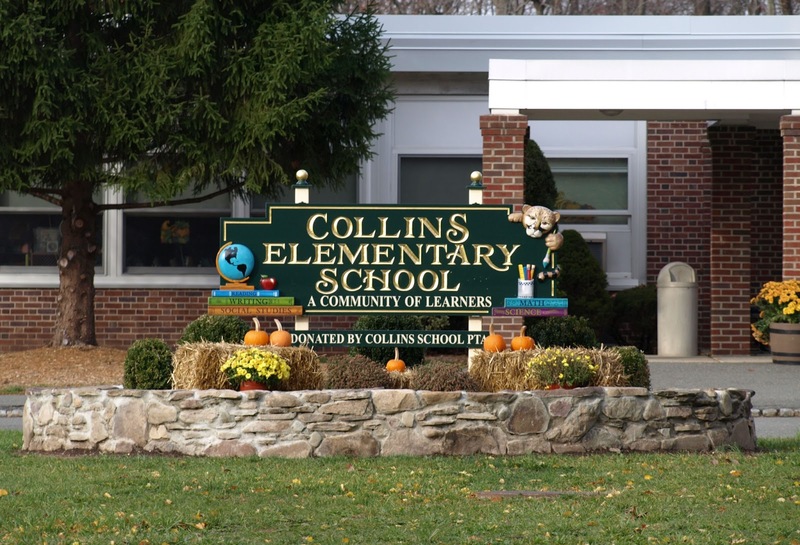 Yesterday at Collins Elementary School, the final class of the fall 2012 session took place in the after school enrichment program on chess, conducted by Enrich and Grow Academy and coached by me. The tournament winner was Peter Falchetta with 2 1/2 points. Luke Wright, Lucas Zhu, and Alec Cotler tied for second through fourth with 2 points. Medals were awarded to Peter Falchetta, Luke Wright, and Lucas Zhu. Alec Cotler chose to receive a book prize. Additional chess books were given to Charlie Gibbs, Nicole Gitelman, Sam Israel, and Alyssa Falchetta. Computer Chess, a film by Andrew Bujalski, is premiering at the 2013 Sundance Film Festival. On Sunday, I snapped these photos at the Marshall Chess Club. 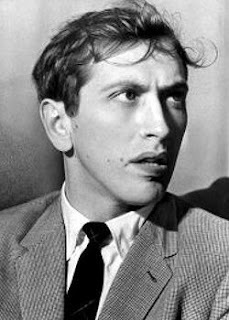 On Saturday morning, at Columbia Academy in East Hanover, I lectured on the Game of the Century, played by Bobby Fischer when he was 13 years old, as a tribute to Fischer on the fifth anniversary of his death in January 2008 at age 64. It took place during the 1956 Rosenwald Memorial, a tournament which started at the Manhattan Chess Club, continued at the Marshall Chess Club, and ended back at the Manhattan Chess Club. 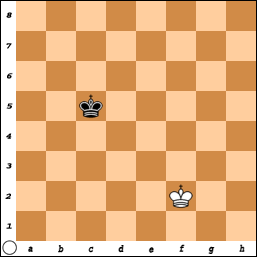 The game opened as a King's Indian Defense before transposing to a line in the Gruenfeld Defense. 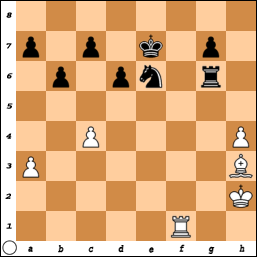 International master Donald Byrne, playing the white pieces, made the mistake of neglecting his kingside development while moving his queen bishop and queen again and again, in violation of the opening principle stating that you should move each piece only once until you have completed your development. 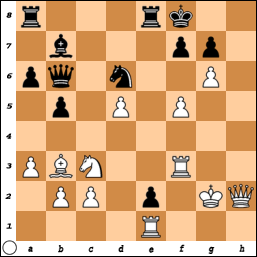 Fischer, playing the black side, punished Byrne with several brilliant moves including a knight sacrifice on a4 which could not be accepted and a queen sacrifice on b6 which had to be accepted to avoid checkmate by Philidor's Legacy - smothered mate by the knight. 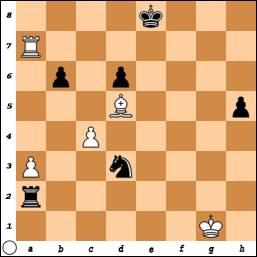 To his credit, Donald Byrne did not resign and allowed Fischer to checkmate him with rook and minor pieces, probably because Byrne sensed that the game would go down in history as one of the greatest ever played. On Sunday, I played this game in the game/45 tournament at the Marshall Chess Club. 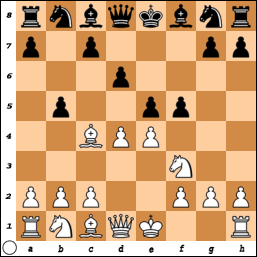 28.f6 gxf6 29.Qh8+ Ke7 30.Qxf6+ Kd7 31.gxf7 Rg8+ 32.fxg8=Q Rxg8+ 33.Rg3 Rxg3+ 34.Kxg3 Qe3+ 35.Kg2 Nc4 36.Bxc4 bxc4 37.Qf3 Qg5+ 38.Kf2 Bxd5 39.Qxd5+, Black resigns. 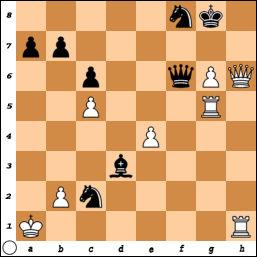 44.Bd3 Ke6 45.Be4 f5 46.gxf5+ gxf5 47.Bd3 Ba7 48.Bc2 Bg1 49.Bd3 Bb6 50.Bc2 Ba5 51.Bd3 e4 52.fxe4 f4 53.Be2 Kd6 54.Bf3 Bb6 55.Bg2 Ke5, draw. These pictures were taken by me on Sunday during the Westfield quads. Five years ago today, the death of Bobby Fischer was reported to the world. Phiona Mutesi in "The New Yorker"
Elberling - West @ "Contre Gambit Philidor"